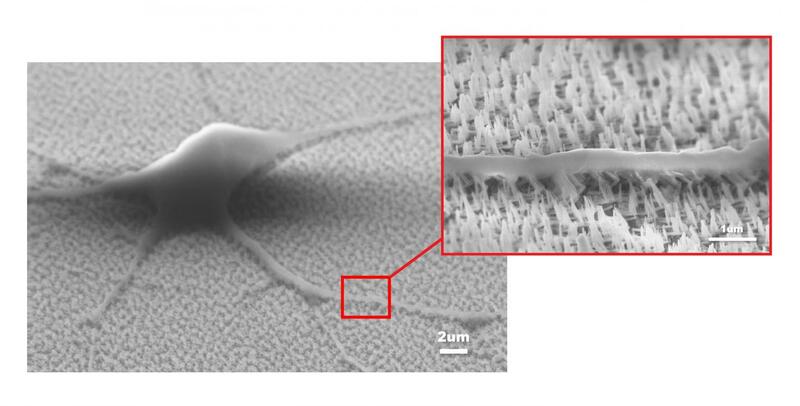 The research team of Hong Kong Baptist University (HKBU) invented a medical device with a specific nanotechnology layer for the proliferation and differentiation of neural stem cells (NSCs) in vitro. Compared with traditional methods, the team's novel matrix can reduce the risk of carcinogenesis or inflammation in stem cell therapy – a treatment that offers hope of a cure for incurable diseases such as neurodegenerative diseases, chronic systemic diseases and degenerative joint diseases. This pioneering invention won the team the Gold Medal with Congratulations of Jury at the 46th International Exhibition of Inventions of Geneva held in Switzerland in April 2018. The application for a US patent has been filed.